GIANT gorillas, museum goldfish, bus periscopes and neon golf signs. Edinburgh was a very different place in the nineties. 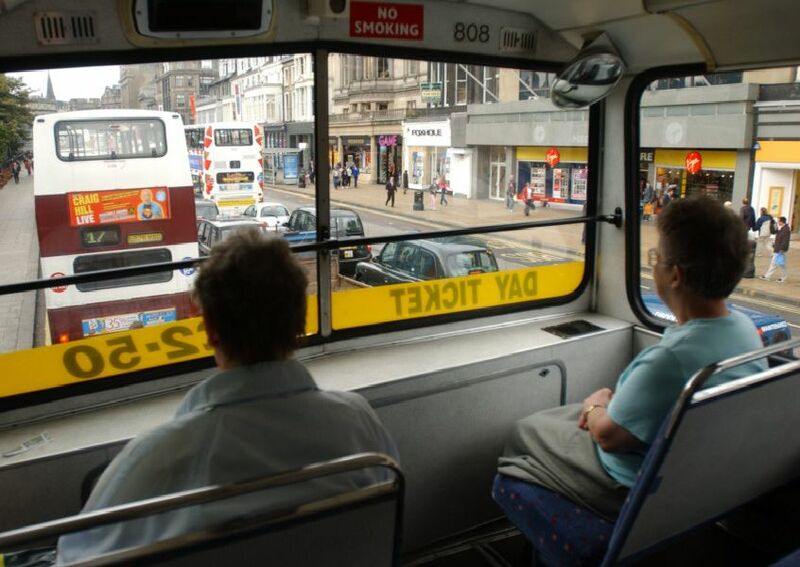 Before buses were all fitted with CCTV, the driver used a kind of periscope contraption with a curved mirror to check what was going on upstairs. Sticking with the buses.. it was a sad day when the middle doors were removed. We hear they are soon to make a comeback - yay! While Brattisani's are best remembered for their excellent fish and chips, their Newington branch is perhaps best recalled from a visual perspective for these distinctive red booths. The Gulliver sculpture was a 100ft long play structure built in the 1970s. It was demolished around 2011 after being deemed unsafe.